Offered up by her parents at the age of six to become a Vestal Virgin, one of six hand-picked women who symbolically protected by the Roman Republic, Aemilia has spent her entire adult life in the all-female Temple of Vesta, under the strictest guard. As the summary/back cover says the story is told by Aemilia looking back on her life and the events that caused her downfall. It was a very interesting read and I didn't put it down often. You follow Aemilia's struggles to keep her faith and her struggles to accept her life as it is. 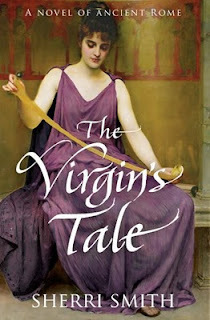 The book is written very well and I found it very interesting to learn about the Vestal Virgins. It was very rich in detail, both concerning the rituals and worshipping of the ancient Gods of Rome, but also just everyday life. 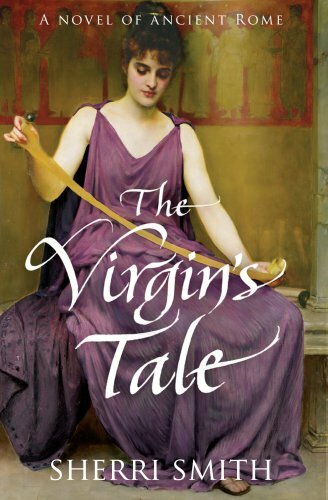 The other Virgins, their household of servants and slaves, the people of Rome both high and low, the story captures them all so well, and Aemilia actions and thoughts carries you through a gripping but everyday story. This looks SO good. I think the concept of the 6 virgins is really interesting. Great review.